As much 360º videos and photos are feast for the viewers for their ‘teleport’ quality, making them self is a herculean task for a novice. Either it requires huge apparatus to set up and expertise to operate and stitch the shots together or huge investment to buy much easier to handle cameras, which all in all has tagged 360º content development an elite affair! Google and YouTube have just the right idea to remove that demeaning tag and bring the technology to the masses. YouTube and Google’s Daydream VR team have introduced a new video format, called VR180. Along with this, they have given the specifications for cameras that shoot in the format. ‘These new products’, YouTube says, ‘will make creating high-quality VR videos cheap and easy for everyone’. The company hopes that that will lead to an explosion in the amount of VR content available on YouTube. According to Erin Teague, YouTube’s lead VR product manager, with 180-degree video creators are no longer worried about what lies behind them. Also, the image quality will not suffer in a video-stitching process. 2D Content: When viewed on mobile or desktop, VR180 videos look the same as normal 2D YouTube content, with the edges on both side cropped. VR Immersive Video: VR180 still offers stereoscopic content. When watched on a VR headset, viewers will see 180 degrees of high-quality, stereoscopic immersive video. Format Compatibility: The format is compatible with Google Cardboard, Google’s Daydream VR, and Sony’s PlayStation VR. Supports Live Streaming: VR180 also supports live streaming making it ideal for shooting and live-streaming sports, music, and other entertainment. Teague says YouTube is still fully committed to supporting 360 video, but that with the launch of VR180, it’s giving creators more choice. “We think that with different content types, both 360 and 180 will shine,” she says. With a new video format comes the need for new cameras to create content. Google’s Daydream team has been working with LG, Lenovo, and Yi on the development of devices geared to shooting VR180 video. The cameras are expected to be available later this year, and each should have the same size, weight, and price of standard point-and-shoot models. The prices have not been disclosed. 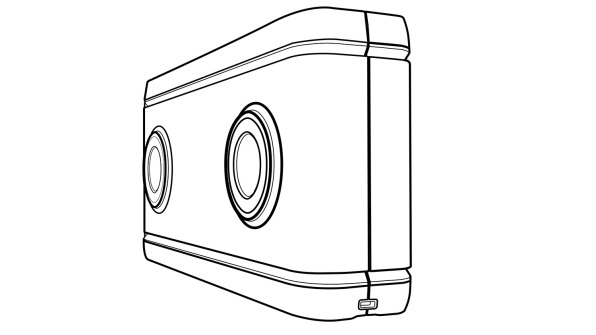 The development of the VR180 format and the forthcoming release of compatible cameras should not be taken as undervaluing Google’s efforts to promote high-quality 360-degree VR content. The Jump camera announced in April by Google is designed for professional content creators, while VR180 is for the masses; regular people who go to music concerts, cricket matches and just feel like bringing a camera from their pockets and just click.